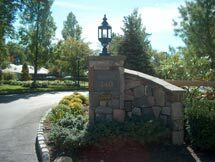 One Madison Management Corporation is a full service property management and consulting firm, conveniently located in East Rutherford, New Jersey. Owned and operated by J. Chris Ely, CPA, and Thomas Keller, CPA, One Madison Management has been providing management services and consulting services to condominium, townhouse and cooperative associations, as well as commercial and industrial properties in Northern and Central New Jersey since 1985. Our experience, expertise, and courteous staff, combined with our family of qualified, licensed, and experienced contractors and professionals, enable us to meet the needs of small, medium, and large residential and commercial developments. If you're looking for a change in management, a second opinion regarding a difficult management issue, or a competitive proposal for consideration, please give us a call. You have nothing to lose, and just might find a firm that provides a level of service you should expect, and your property deserves!